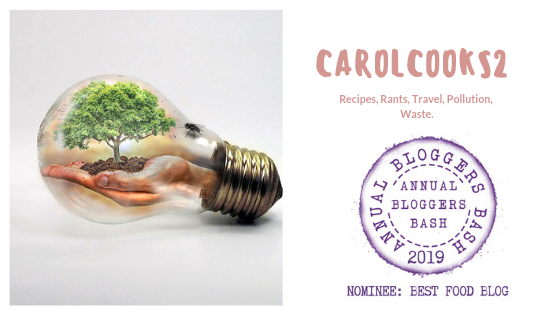 CarolCooks2…My weekly roundup… | Retired? No one told me! I like your new header. It is very eye-catching, and makes me want to see what the blog will say over time about the topics listed. I noticed you’ve been commenting on headers lately Carol and now I know why! Your header picture caught my attention and I agree with Peggy’s comment, it indicates ideas ion the natural environment. Nice to read your catch up post. Headers are tough, Carol. Mine tend to run on too long, but the goal is to catch someone’s attention and get them interested enough to read – your posts are always terrific and leave me with way too many things I want to try! Catch up with food, leftovers, asparagus and the Guernsey Litarary and Potato Peels Pie – recipe and the book and film. Carol Taylor has plenty to keep you busy. Nice roundup. The header is fun and clever. Not sure is conveys cooking and travel. It says ‘full of ideas’ to me. Great post Carol, an enjoyable read. Wishing you a good time in the impending week.